I’m currently on my parents’ PC because my laptop crashed a few days ago... just when I had a lot of posts pending. How perfect! I’m glad that at least I have a few ones drafted right now, which I’m hoping are enough to serve as updates while I’m still trying to save my laptop—or at least what’s left of it. Right now, I do want to share something that will be of great use to my Philippine readers! 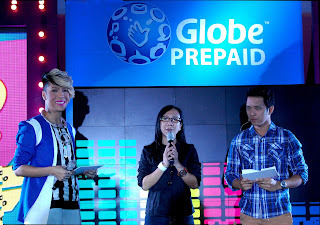 I have honestly been a loyal subscriber of Globe since the beginning of my mobile phone dependency. LOL. I remember one of the longest numbers I managed to keep was a prepaid number that began with 0917 (despite being used to “0917” numbers belonging to postpaid subscribers). So anyway, I’m so glad they came up with GoSAKTO. It’s so timely to have launched this promo now, when a lot of people are needing more and more from their network providers. GoSAKTO basically lets PREPAID SUBSCRIBERS create and customize their own promo. Depending on what you need, whether it be unlimited texts to Globe/TM + 50 mins call to other networks + 1MB mobile surfing, you can add these up and create your own promo - name it - share it! GoSAKTO subscribers are also spared from promo availment barriers like maintaining balance, capping, and limiting price points. Dude, GoSAKTO promos can go for as low as P7! You can also use these while subscribed to other promos. I’m so glad they’ve taken consumer insight and made a very promising service like this! At least we prepaid subscribers really have a say now as to what promo we want! We can pick the type of call, text, and/or surfing promo we want and also determine the validity (1 day, 3 days, 7 days, or 30 days). And when you’ve named your promo (ex. GoMegannSaktoCombo hehe), you can share it with others so they can subscribe to the same promo easily. Let me know if you've created your own promo too! It would be fun to share our codes so that others can use it too to subscribe.